For a majority of homeowners, the kitchen is one of the most important rooms of the house! It follows logically then that they invest a considerable of time, energy and resources into creating a beautifully functional kitchen, maximizing its efficiency and reflecting their unique personality at the same time! 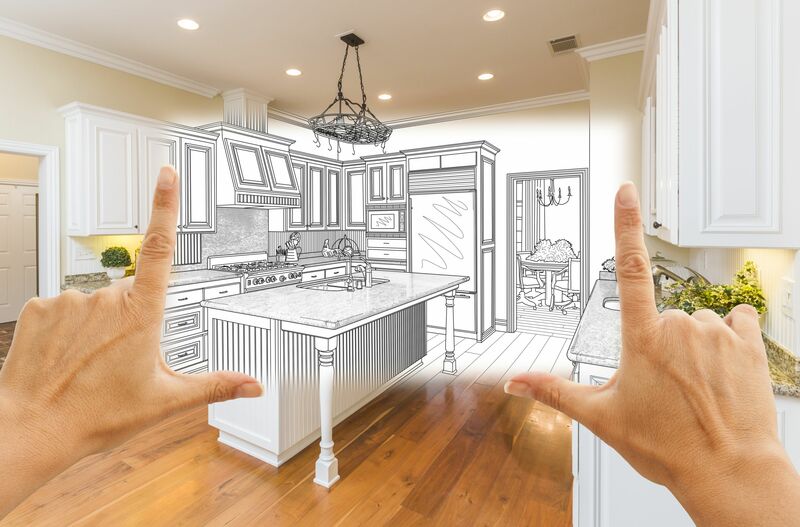 A kitchen remodeling project can thus be a very important home improvement plan, ranging from just a few hundred dollars to even ten's of thousands of dollars! Here are some tips to help you determine the cost of remodeling your kitchen. Always ascertain the current market value of your house before starting on your kitchen improvement plan. Ideally, the total cost of remodeling your kitchen should not exceed 15% of the total worth of your house. And out of this, you should keep aside roughly 30-50% of the amount for cabinets, fixtures and appliances. Make a plan and put it down on paper. List everything that you're going to need and then find out how much each item in that list will cost you. If you find that it's exceeds your budget, then you can go through the list once again and see if you can reuse any of your existing stuff, like painting the cabinets instead of getting some new ones installed or reviving the existing wooden flooring with a touch of fresh paint. Such as a new microwave or a sink or even a new decorative panel for your dishwasher. Check out the online stores for any available discounts. Some stores offer considerable discounts if you purchase more than one appliance from them. If you are planning to hire a contractor, make sure that he is licensed and insured, and communicate your budget clearly to him in advance. Get the plan in writing from him, including an estimate of the start-date and end-date, labor costs, as well as material costs. Ideally, the labor costs should not be more than 30% of the total cost. And avoid paying more than one-third of the total estimate upfront so as to ensure professionalism in service delivery. A D-I-Y project, however, can save much of these labor costs, although gas installations, plumbing and electrical fittings should be left to experts. Make a "contingency fund" for unexpected expenses. here could be irreparable leakages in old water pipes or termites in the wooden fittings, and you may find that you would need to replace these as well. So keep aside a tenth of your budget for such unplanned repair work. Putting everything down on paper makes it easier to ascertain the costs of the remodeling. But you also need to avoid "changing your mind" frequently during the project!